A lot of students who are sure about making a career in management start their CAT preparation well in the second year of graduation. Similarly, working professionals often dedicate at least a year preparing for CAT before taking the exam because of the limited time one can take out for studying with a fulltime job. Speaking from experience, you don’t necessarily need to slog it out for a year or two to crack the CAT. During the final year of college, I applied for CAT just a day before the registration process closed down, for the sake of a backup in case my journalism entrances didn’t go as per plan and started preparing sometime in mid-September. With just about two months of preparation solely on my own, I managed a score of 89 percentile. Yes, it isn’t an IIM worthy score, but the point I’m getting at it is that if two months of casual preparation can secure 89 percentile, you should be able to make the cut with five to six months of sincere hard work. This is the next big question weighing on the minds of every aspirant. The answer to that lies in the exam pattern and syllabus. Before you so much as sit down for your first study session, go through the syllabus and familiarise yourself with the exam pattern to understand what you are signing up for. Now, assess this information vis-a-vis your own strengths and weaknesses to come up with a strong preparation strategy. With almost all of your peers bolting to coaching classes and then burning the midnight oil trying to memorize the smart tricks handed down by their mentors, solving worksheets and preparing for weekly mock tests, it is natural to think that these coaching institutes hold the key to success. If that were true, every student enrolled in these classes would secure a perfect 100 percentile. So, if you do not want to go through the financial and mental strain these coaching institutes can inflict on you, remember that self-study can be just as good a choice as formal coaching. If you choose to prepare for the CAT on your own, make sure you have mentors or peers who can help you in case you get stuck on certain topics or concepts. While there is no dearth of printed books to help you with your CAT preparation, the internet is a gold mine for the right study material. From section-wise notes, preparation materials, sample papers, question banks, handbooks on key shortcuts and tricks, just about everything you need to be thoroughly prepared in available online. Besides, social media platforms and online forums dedicated specifically to CAT aspirants are a great place to interact with experts as well as other candidates, share inputs, exchange study material, and brainstorm. If leveraged right way, the internet can bolster your CAT preparation. The CAT exam is divided into three sections – Quantitative Ability, Data Interpretation and Logical Reasoning, Verbal Ability and Reading Comprehension. The syllabus for each of these sections is confined to Class 10 and 11 NCERT books. But that does not mean that cracking the CAT questions would be a child’s play. Most of the question in the exam are twisted with tricks and need to be approached with logical thinking. One of the most important aspects of your CAT preparation should be to devote time to each one of these sections every single day to be well-versed with the fundamentals. Do not ignore Verbal Ability and Reading Comprehension just because you have a good hold over the English language or skip Quantitative Ability because you just don’t get the concepts of maths. Studying each one of these subjects every single day will help you understand some finer nuances of these subjects, which will ultimately stand you in good stead on the day of the exam. What makes the CAT exam daunting is the fact that you have to find your way through 100 questions carrying 300 marks, out of which 25 are non-MCQs, in a duration of 180 minutes. To complicate the matter further, you lose one mark for every wrong MCQ type question. All these factors boil down to one inevitable reality – you cannot expect to attempt and get 100 percent of the paper right. In effect, you do not need to aim to be thorough with 100 percent of the syllabus. Go through the sample papers to assess the weightage of different topics in different sections and limit your preparation to the most important ones. This is especially crucial for the sections that aren’t your strong point. For example, if you struggle with Quantitative Ability, choose three or four topics from which you see a maximum number of questions in previous years’ papers and focus on preparing them in a manner that you can handle the trickiest of questions on these concepts. This will get you past the sectional cut off and also promote a higher overall percentile. Whatever you do, never rely on flukes or guesses in this exam because it can cost you precious marks. This is the holy grail of your CAT preparation. No matter how hard you study and how well you know the syllabus, a great deal of your chances of success rest on how much you’ve put your knowledge to test during the course of your preparation. Make it a point to attempt at least two mock tests every week and then mark them honestly to see where you stand. You can even sign up online test series to get a real feel on the actual exam. Besides, when someone else is assessing your performance, the chances of a realistic feedback are higher. 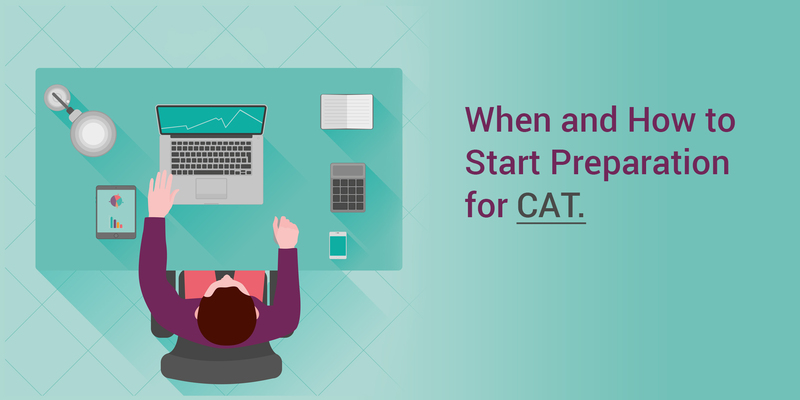 If you attempt at least 20-25 mock tests or sample papers during the course of your preparation, you will no longer be a stranger to the ways of CAT. Not only will this boost your confidence on the day of the exam but also help you identify tricks and twists in the questions better.